The menu at Island Scoop. Island Scoop serves freshly-made and unique ice cream and sorbet, along with smoothies and coffee. Located within walking distance of many of the Grace Bay resorts. 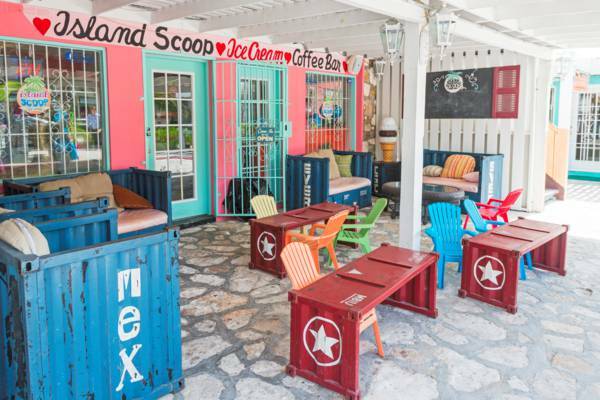 Island Scoop's miniature shipping container outdoor seating.